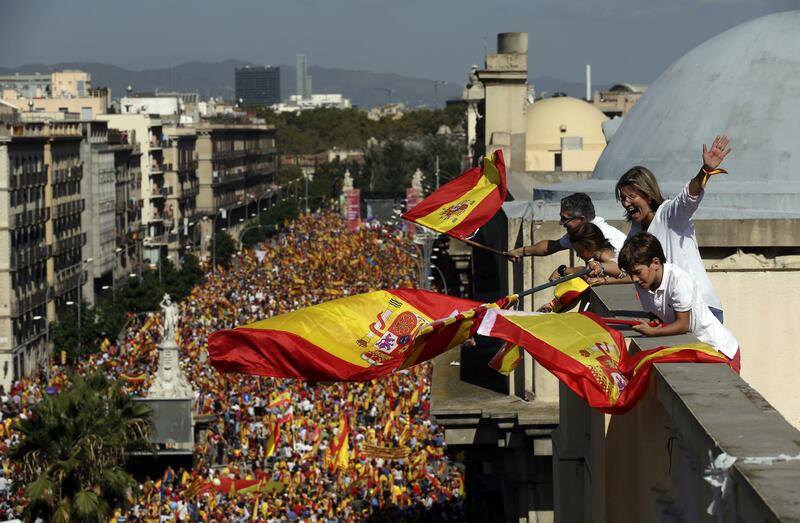 BARCELONA, Spain – Spanish unionists in Catalonia finally found their voice on Sunday, resurrecting Spain’s flag as a symbol of patriotism after decades of it being associated with the Franco dictatorship. In an interview with the Spanish newspaper El Pais published Sunday, Rajoy said he will consider employing any measure “allowed by the law” to stop the region’s separatists. Published: Oct. 8, 2017, 12:16 p.m. Updated: Oct. 8, 2017, 8:34 p.m.